Younten originates from the Kongpo region in South-Eastern U-Tsang, bordering Kham. 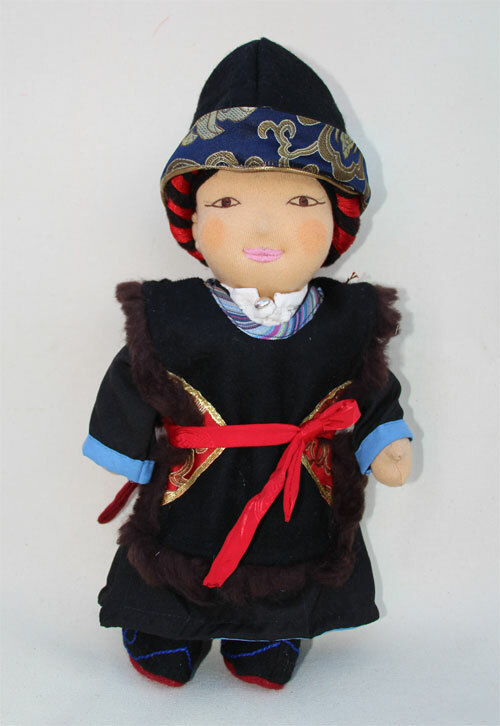 He wears the typical Kongpo hat (known as a gyasha) with an upturned brocaded rim. His hair is pulled back and plaited with red silky threads, like in many other Tibetan regions. Over his long chupa he has a warm woollen tunic that is belted around his waist. His long Tibetan boots are called Lham and protect him often freezing temperatures.